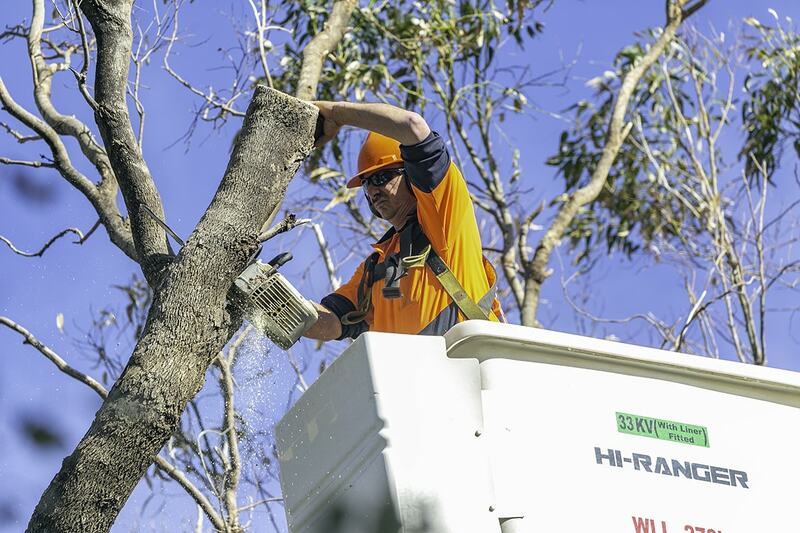 Statistically speaking, the tree specialists at Arbor Guy are considered to be undertaking one of the most dangerous jobs in Australia. Removing and dismantling a monster 55-metre tall tree from the Valley of the Giants Tree Top Walk in Western Australia is just one of the reasons the job is considered so dangerous. 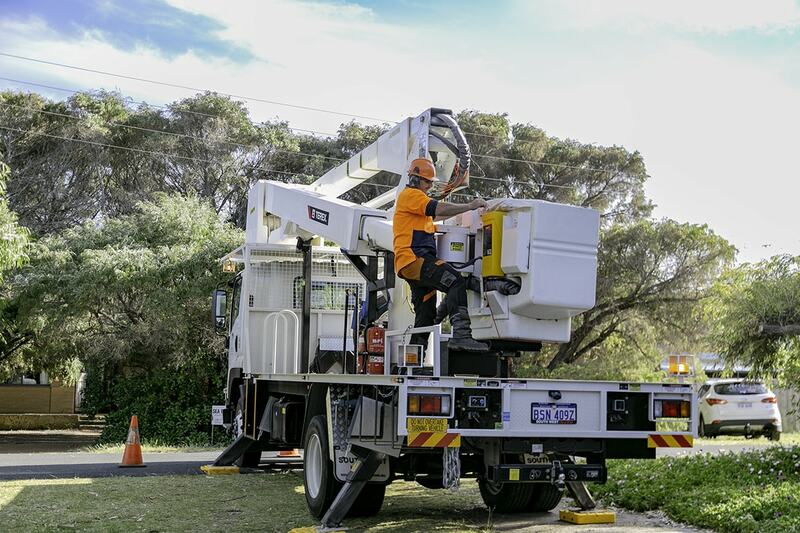 Understandably, the team at Arbor Guy put staff safety at a premium, making sure all team members operate under the most stringent safety standards, and as a result, have earnt a great deal of respect in the industry. That’s quite a feat for a relatively young operation. Arbor Guy was founded in 2008 by Managing Director, Guy Badger, who drew on his 17 years’ experience as a qualified arborist. Guy made it his goal to establish a company employing skilled, passionate and knowledgeable arborists, with a genuine love for trees. Beginning with a small but dedicated three-person team, the business has exploded to an operation employing 28 full-time employees who share a passion to promote a healthy urban and natural forest for all to enjoy. So what drives Guy and his team to perform their canopy heroics each day? He says it comes down to a shared obligation to help protect our natural environment. “We just have a real passion for trees. I’ve handpicked my staff from all over the world and brought them all under one roof. 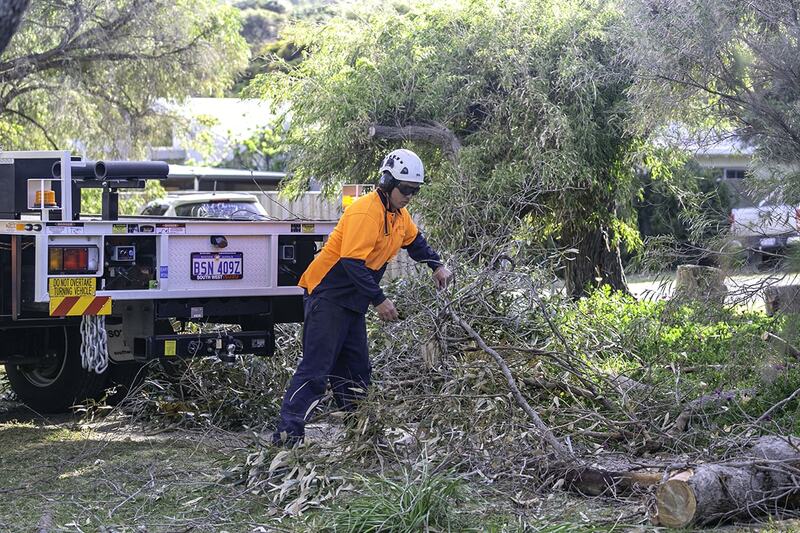 Day to day, you’ll find the Arbor Guy crews all over the state of Western Australia, offering services such as tree care, pruning, removal and transplanting, green waste mulching, weed control and in-house traffic management. And that’s not all. Their specialisation extends to tree consultancy, project management, fire mitigation and utilities maintenance, among others. A big believer in innovation, Guy employs a cloud-based field service and job management technology to create a paperless office management system. And he’s carried that ethos of cutting-edge technology into the company’s transport solution by investing in industry-best trucks that can keep pace with the growth of Arbor Guy. Back in 2010, Guy sought a truck to take his business to the next level. His options were Isuzu and another Japanese truck brand, but Guy says the decision was made easier after visiting both dealerships. 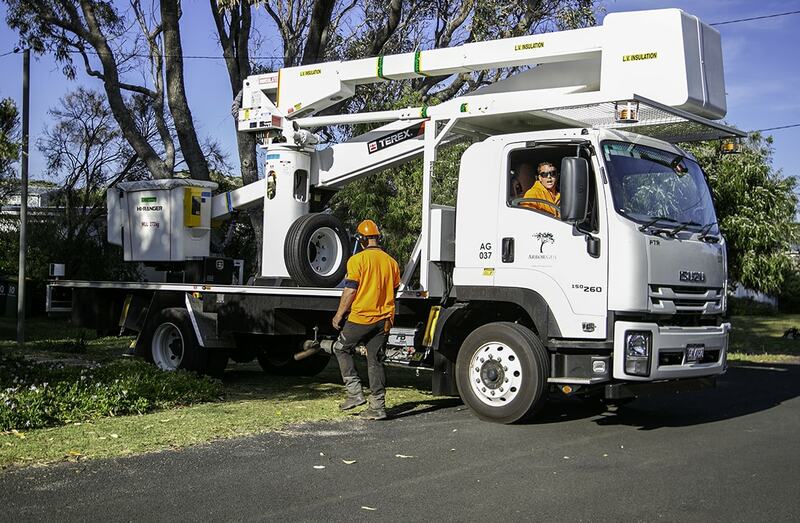 It’s a working relationship that started 10 years ago and over that time, Arbor Guy has grown its fleet to a total of nine Isuzu trucks, all designed to meet the unique daily needs of the business. Covering both Isuzu’s N and F Series line-ups, some vehicles have been converted into, “a mulch truck with customised bins on the back for woodchips and mulch,” or built-out specifically for traffic management. From floating elevated work platforms to towing commercial grade wood-chippers, there’s an Isuzu solution suited to each application. The heroes of the fleet are the NPR 75-190 and the FSR 140-260, both fitted with tray bodies, to carry the forestry machinery out into the field. Carrying tonnes of machinery over hundreds of kilometres a week is no mean feat, but a job made easy for the FSR with a GVM of 14,000 kg and an engine producing 191 kW @ 2,400 rpm. Equally, the NPR 75-190 rated at a 7,500 kg GVM and 140 kW @ 2,600 rpm of power is also extremely well suited to the task at hand. “For the distance they do, the trucks are paired up perfectly. South West Isuzu gave us the best possible recommendation after we told them what we’d be using them for and they’ve never led us astray,” said Guy. “Ensuring we’d have enough power when climbing hills was critical as we’re towing trailers behind nearly every one of our units. That’s exactly the kind of performance that Guy and his team need when providing a service to the clients they serve. Teaming up with Isuzu Trucks, a company with a tested reputation for reliability, is something Guy has found exceptionally rewarding. 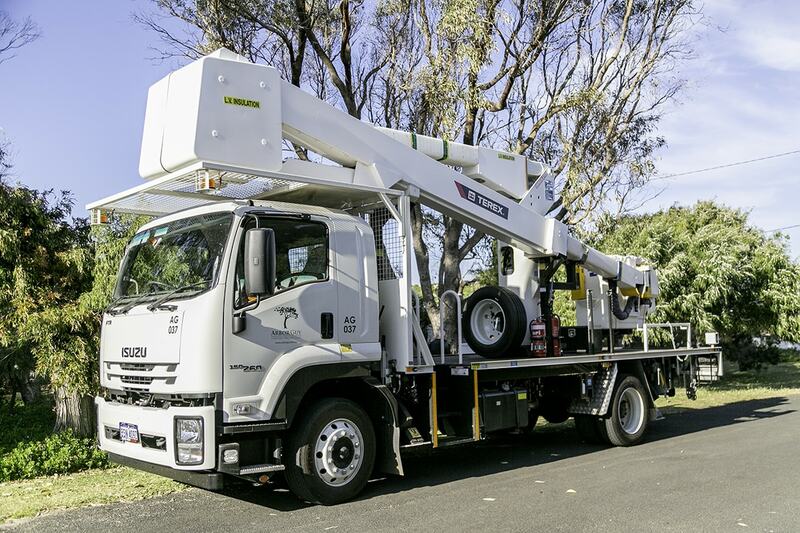 “Downtime is never an issue for us, whenever we need them, South West Isuzu gives us a replacement truck,” he said.